Every year in the United States, the commercial real industry is losing roughly $2.7 million because of poor tenant engagement. In addition, a recent Gallup report states that some 68 percent of people in the workplace are not engaged. As a result, companies are experiencing $550 billion in lost productivity every year. That equates to $4,400 for each employee. When employees are engaged, they feel enthusiastic about what they do, they are committed to the business, and, most importantly, they are involved. 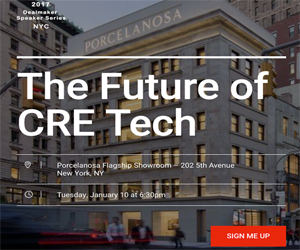 Not only to improve on this lack of engagement but also to reduce the financial loss to the commercial real estate industry, Lane was designed to get tenants to communicate and interact. Gyekye, who was born in Africa but raised in Europe, moved to North America at age 20. Soon after, in 2013, he and Robinson founded a design agency called Little Room, leading the development of both web and mobile technology products for well-respected companies, like Hudson’s Bay Company, the New York Times, Rogers, and Thomson Reuters. Robinson wrote software as a child using an old home computer. In 1996, at just 15 years of age, he launched his first internet startup. That solution was designed to give people internet access. His second startup was sold in 2008, a web-based solution for e-health. Together, the two are dynamic, something evident in the launch of Lane. The two firmly believe that this SaaS software platform will revolutionize engagement. After just one year, Lane has been used by approximately 20 percent of office space in downtown Toronto, Canada. With this software, landlords have the ability to create an online profile, followed by using the drag-and-drop interface to set up amenities and services for their buildings. By downloading Lane, virtually everyone in the building can connect. Robinson explained that Lane connects the person who goes to work every day to the building, including amenities and services provided, as well as vendors and nearby services. The cost to building owners for using this innovative software is just $0.015 for every square foot per year. Even different businesses within one building can rely on Lane for private communication between employees. Notifications can be filtered by office workers to ensure they get only what they want. In addition, this software helps with invitations to events, public notices, and much more. Users can also set messaging preferences.